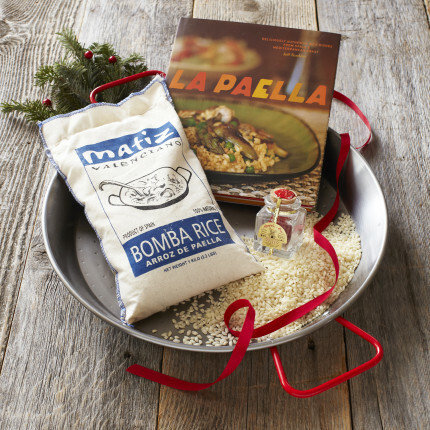 I am currently obsessing over this Sur La Table paella gift set as a Birthday gift for my husband, Steve. I think this is a great gift set for any foodie or home cook to create a classic Spanish dish in no time! I can't wait to eat some Spanish Cuisine at the Olive Oil from Spain event!